There is an exclusive feature available with this theme to allow the users to download your photos. Image below shows how does that look and work on the front end website. This feature allow you to upload various size and quality of photos which will be available for the users to download to their devices. There are 4 sizes: Small (S), Medium (M), Large (L), and Extra Large (XL). You can add and/or edit info about photos as well. 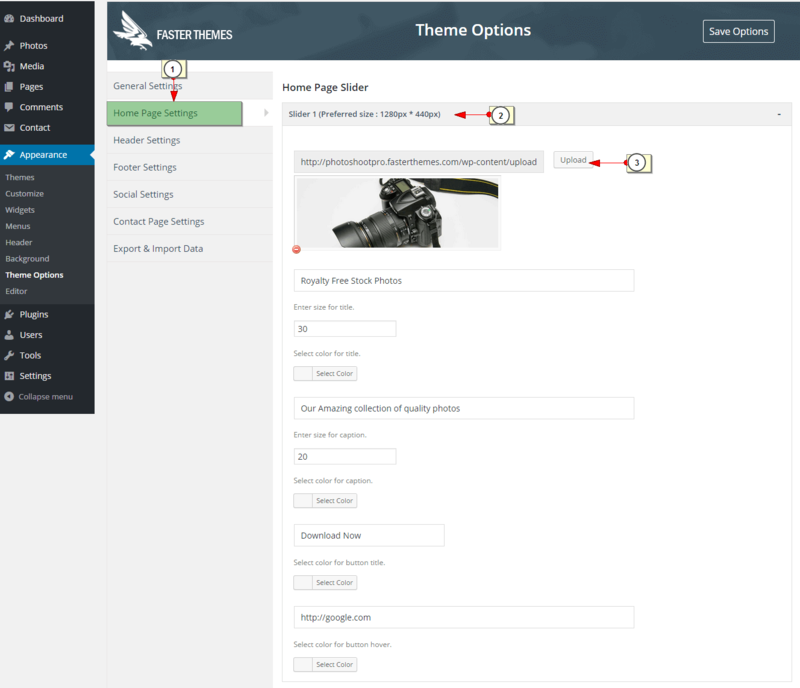 General settings of this theme allow users to change color scheme, Font style of the theme and layout of the Single post type. Home page settings of this theme deal mainly with the Slider. Images for the slider can be added very easily as shown in the below image. There are 2 categories of the photos displayed below the slider. 1st category is called ‘Most Viewed photos’, this title can be customized and has auto count of the photos viewed by users. 2nd category is ‘Latest Photos’. Photos uploaded last will be displayed in this sections. Photos for these categories can be added from ‘Photos’ as shown in the image below. 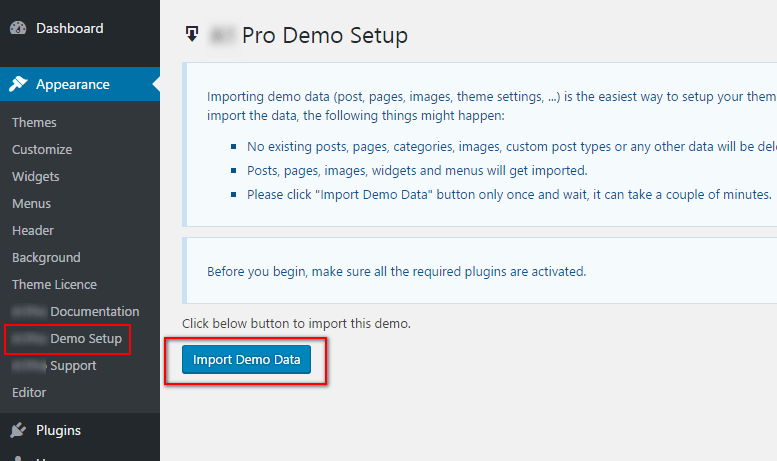 Header settings of Photoshoot Pro theme allow users to upload and change logo and Favicon for the website with just a few clicks. 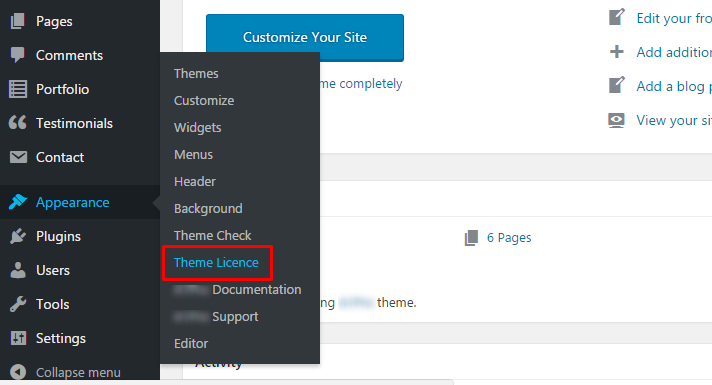 Footer settings of this theme allow users to change Copyright text, remove the WordPress credit link and add Google Analytics code as well. The image below shows how to change Copyright text. The image below shows where to out the Google Analytics code to track visitors. Social settings allow you to add links of your media accounts and display on the pages of the websites, which when clicked, will re-direct to your social media accounts. You can have Facebook, Twitter, Google+, LinkedIn, Pinterest, YouTube and RSS accounts linked. This section allows very easy change of contact information which will be displayed on the Contact us page on front end.